This week and then some on I'll Drink to That! We've had a pretty good run on the ol' I'll Drink to That! so far. We've released 45 episodes already, and I'll be honest with you, that's a whole lot more than I ever dreamed we'd get to. Really the response has been very good, people are clearly listening, and that's cool. It keeps us going. But I think what genuinely keeps me interested is learning from what the guests have to say. It has been a very rewarding experience. Not a day goes by that I don't think about something a guest has said on the show. I really owe those people my thanks for sharing their time and insight. I also owe a lot of thanks to the great Matt Duckor, who has been the show's producer and behind the scenes Solomon since before the beginning. And my thanks to you all for listening. 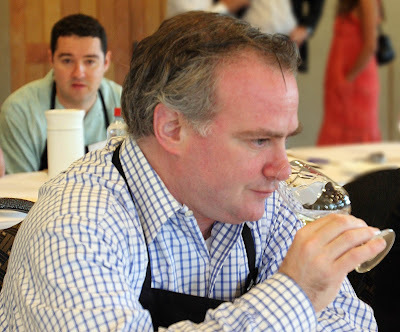 Josh Raynolds of the International Wine Cellar explained just what kind of crazy person he prefers to hang out with, and it turns out that that person looks a lot like David Schildknecht. There was also a Dali quote, and a rather startling and unexpected mention of Chris Barnes. 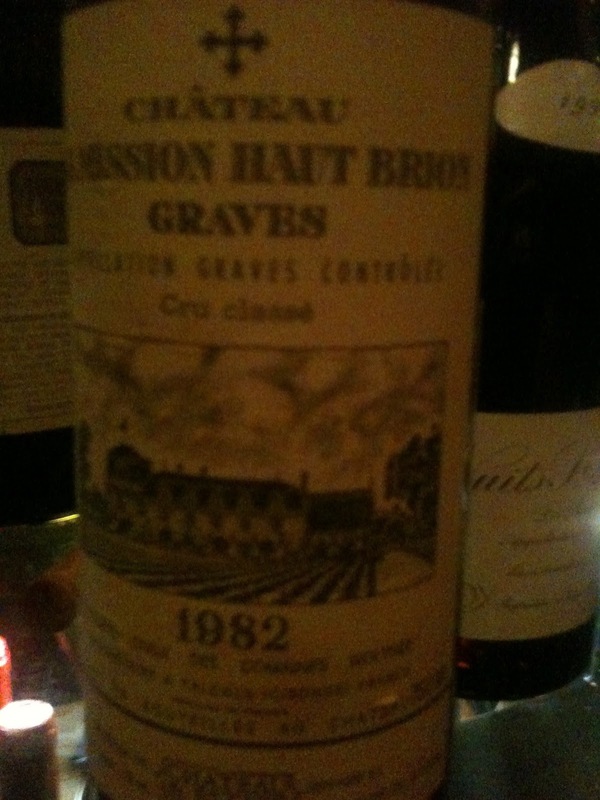 Plus a ton of years tasting wine and a lot of perspective. 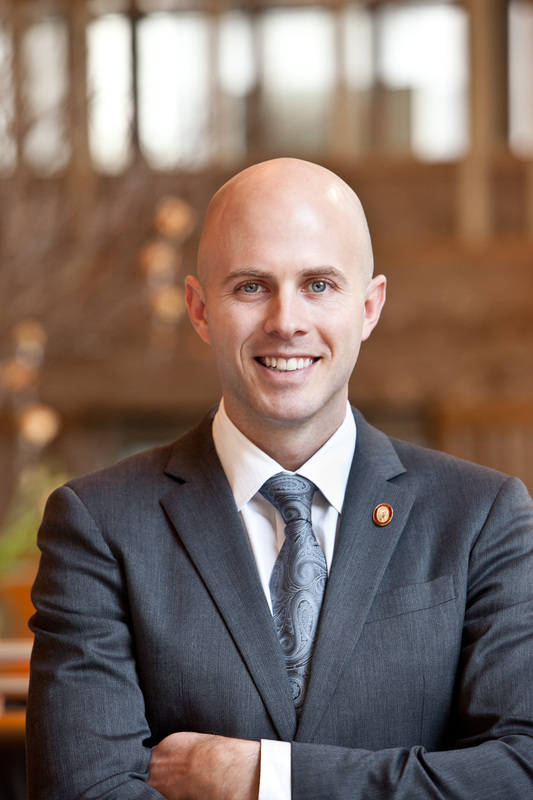 John Ragan of the Union Square Hospitality Group talked about his toughest moments in the business, which included one time where not every hair on his head was set perfectly in place. Just kidding. He didn't actually say that. 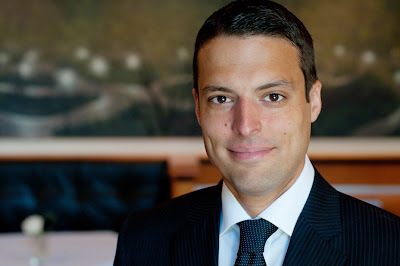 But he did talk about where to draw the line between leading customer taste and providing hospitable customer service, which you should definitely listen to if you are in the restaurant business because he is one of the best at it. And Dustin Wilson of Eleven Madison Park talked about the crazy sensation of receiving 3 Michelin Stars on his second day of work. He also broke the code of silence on just how many hours sommeliers actually do work, which can be a ton. "Making it happen" might also mean sleeping on one of the banquets at work after a super long shift, and Dustin revealed which is his preferred table number for getting some Zzzz's at. As always, all of these interviews are available free of charge on iTunes and on Stitcher. *Quote from Jeremy Seysses. Saucy Raj photograph from Thomas Schauer. You say Cannubi, I say...Canubbi? Here are more pictures of those Bartolo "Canubbi" labels, by the way. They are interesting historically, and in light of this ongoing situation. 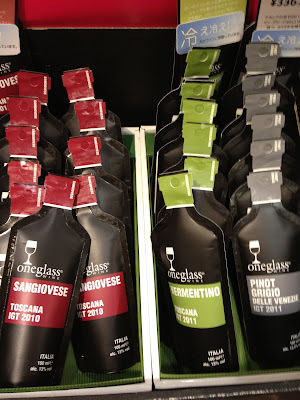 None of these wines were made entirely from Canubbi (Cannubi) fruit, so far as I know. 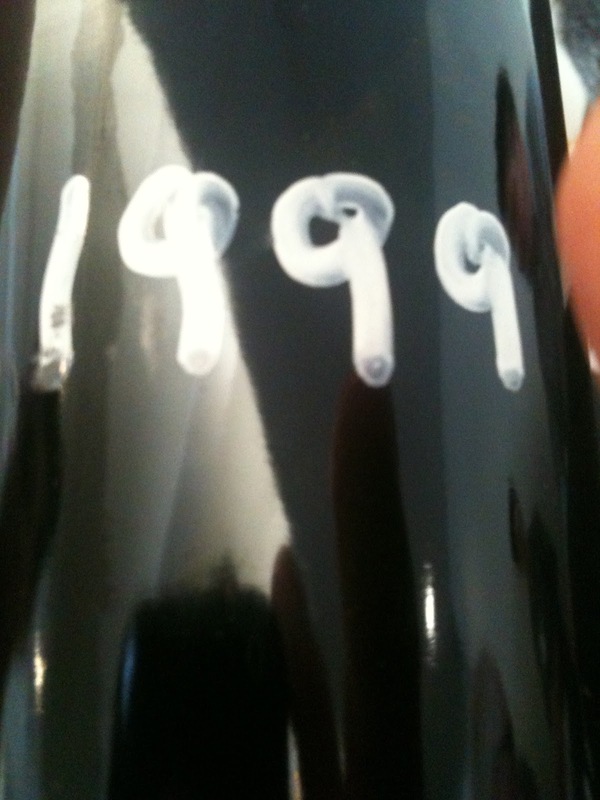 This bottle of Didier Dagueneau 2000 Silex had air bubbles visible along the sides. I thought it might be that there was air inside the wine (uh, oh! ), but that wasn't the case. The bubbles were in the glass bottle itself. Of course there are plenty of times when bottles are a bit odd. Like this magnum of Giuseppe Rinaldi Brunate Riserva 1978, where the bottle curves differently on the two sides of the swan neck. Probably not made by a machine, that one. 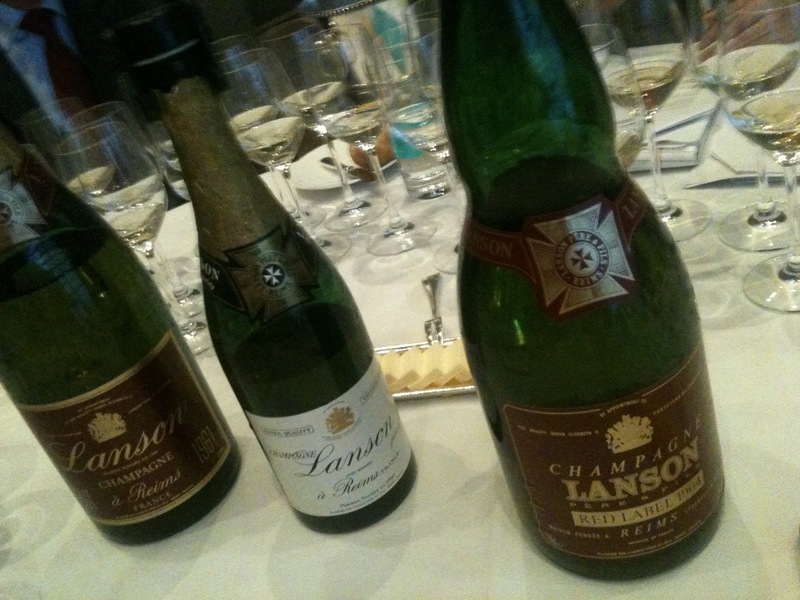 Or sometimes an odd look is intentional, like with this old bottle of Lanson. 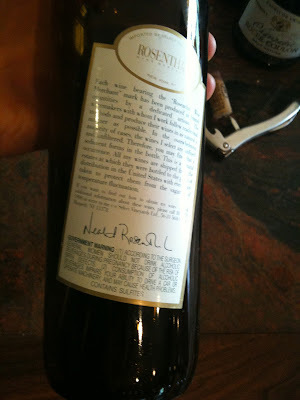 Or sometimes the label is what is askew, like with this Rosenthal back label. Like bottles, labels can be partly done by hand as well. Or the label can be all by hand. 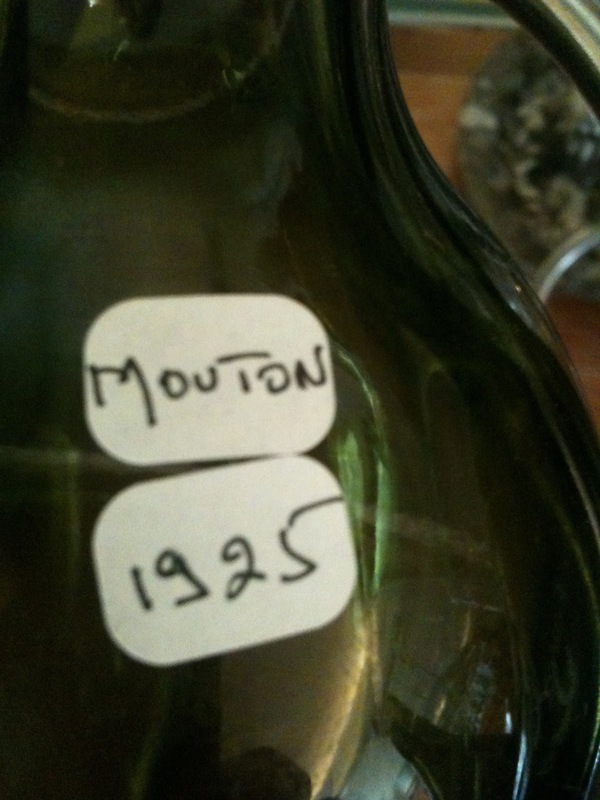 Sometimes there isn't much that is said, like with this bottle of Mouton-Rothschild 1925, which was sitting in another first growth's cellar for a long time. Apparently, the first growths used to trade bottles between themselves. Sometimes those bottles went without labels. Or sometimes the label is all there, but it still doesn't tell you much. Like maybe the producer name is left off the label, like with this 1969 Morgon that we thought might have been an INAO sample bottle. Or the listed producer isn't the person who made the wine. Or the vintage isn't given. Or it is just the vintage that is given. Like with this Radikon Merlot 1999. Or maybe the label is hard to read. Maybe the winery has won certain awards in the past, and the label refers to those. 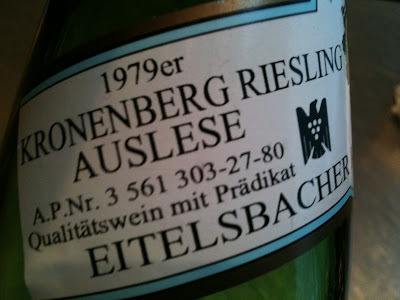 Or maybe there was a single vineyard bottling, even if that single vineyard doesn't exist anymore. Or maybe the label implies that the bottles are from a single vineyard even when they aren't, such as these old bottles of "Canubbi" from Bartolo Mascarello. 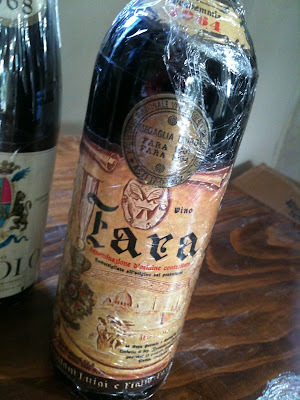 The wine inside was a blend of different vineyard sources. Or maybe they don't make that wine anymore. And then there are times when there isn't a bottle or a "bottle label" at all. In so many ways, wine can surprise you. Hook it up for dinner (tonight)! Quite the lineup, right? Tomorrow night, Wednesday, the 28th, Gilt Restaurant in The Palace Hotel is holding a tremendous dinner with funds going to benefit the rebuilding of Red Hook Winery and Governor restaurant, both of Brooklyn, both severely damaged by Hurricane Sandy. The dinner starts with a reception at 6:30pm. The address is 455 Madison Avenue in Manhattan. And the price is an entirely reasonable $135 per person. That is a lot of great things to try, for the benefit of folks who need the help, all at a low price. You should go. Wine can be tricky. Swirling a glass of wine, you might think you are playing some serious solitaire, trying to release the potential of what is in there. But it can end up being three card monte instead. You know something is up with this wine, but what is it? Is it oxidized? Or has there been extended skin contact? Maybe it is heat damaged? What do you call out as an answer? It can be hard to say. The possibilities can often look or taste similar. A lot of times I call out the wrong card. But I remember when I've been hustled, and to help you, I'll share with you what can happen. I've got your back. 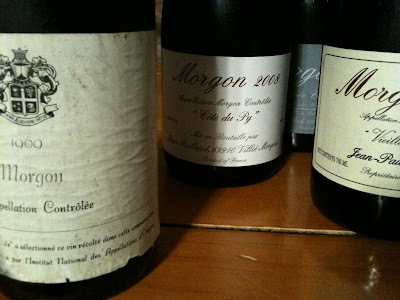 When bottles of Syrah from the Northern Rhone are young and have a bit of reduction, there can be a flavor that tastes a lot like wood. A reduced wine normally tastes dimmed, and kind of overly contained, but not oaky. Reduced Northern Rhone Syrah, though, can taste oaky. This is a weird Syrah thing. What it can lead to is people saying "OMG! Too much new wood! I'm never buying this modernist junk again!" But actually it isn't wood, it's reduction. It goes away with time and decanting. I know this is weird. On the other hand, there could actually be too much wood in a wine. The flavors are similar, but they aren't the same thing. I thank Claude Kolm for helping me to understand this. Peter Liem really helped me wrap my head around the idea of sponti, the flavor that can emerge when grapes from Riesling vines planted in slate are fermented with native yeasts. This is a lifted, kind of mineral aroma that smells a lot like sulphur but is actually distinct from that smell. I think of the sponti smell as a bit "softer" than the sulphur smell. Sponti can smell a bit like wheat or hay, as well. Very often Rieslings that show sponti are dismissed as having too much sulphur. It happens probably just about every day. I've done it. Maybe you've done it. But they aren't the same thing, folks. Tricky! Maybe the trickiest of them all. 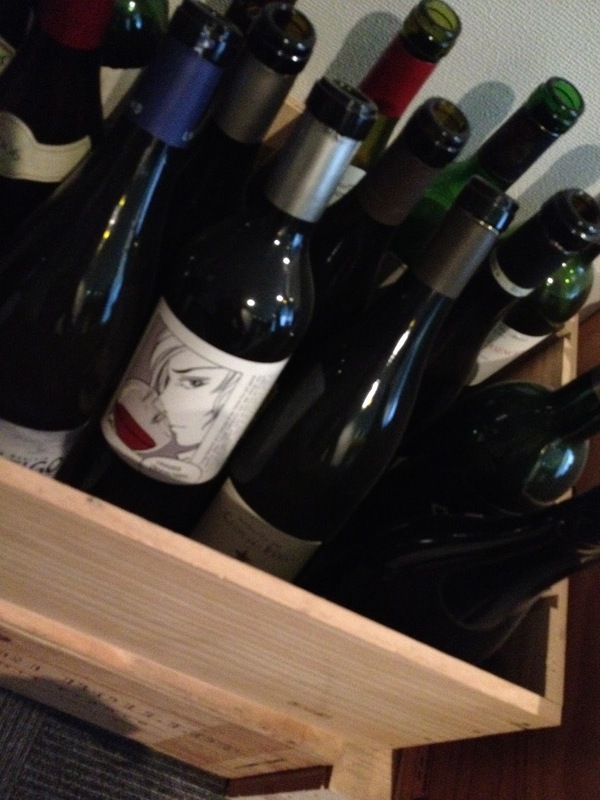 A white Hermitage can go through an ageing cycle where it tastes too old in adolescence, and then gets fresher with age. It is something you almost don't believe, until you see it happen. If the white Rhone tastes too old for its age, don't pour it down the sink. Seriously, don't. Pour the wine into a decanter instead, and then just watch what happens. 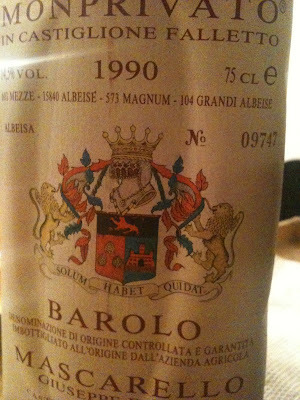 Just as a Barolo can gain weight with air, a white Hermitage can gain freshness. 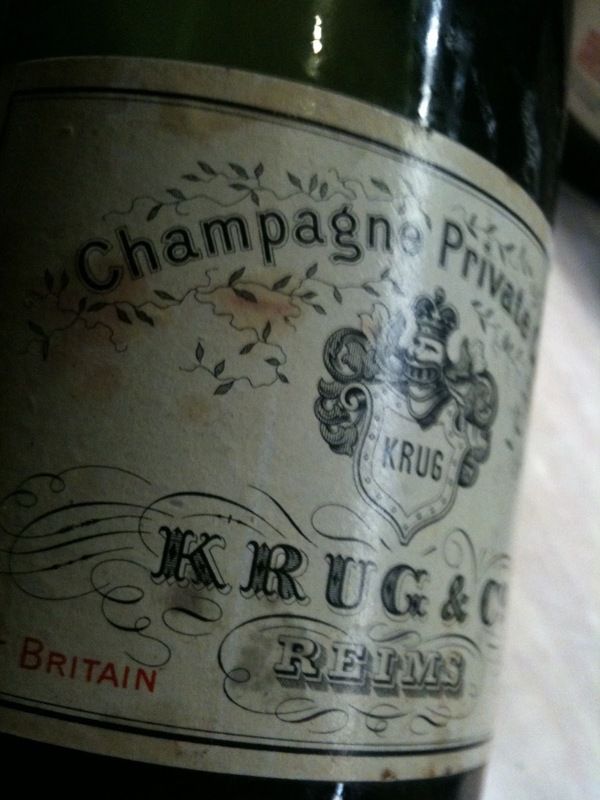 My thanks to the collectors who have opened up the bottles that allowed me to witness this. Chenin Blanc and wet wool. Young Chenin can have a wet wool character that is oh so close to the taste of TCA. 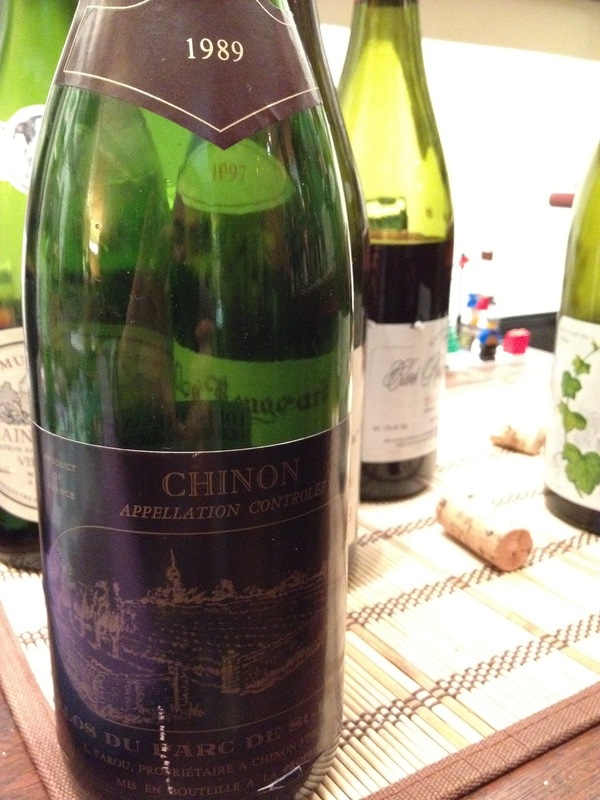 If you are working as a pourer at a portfolio tasting, trust me that you don't want to work the Loire Chenin table. Every 5th person tasting through will give you the stink eye, and then be like "Um, did you taste this?" You open another bottle. Same thing. You open another bottle. Once again. And this isn't one producer I'm talking about. I've seen this situation occur at many a different portfolio event, and with many different producers. The flavors seem very similar. But they aren't the same. Those are my tricks of the trade. Maybe you have a few to add? Please do so in the comments. Gianni Capovilla was in town recently, during his first ever trip to New York, and I was lucky to attend a tasting he led of his distillates. It was a pretty great event. At the age of 70, Gianni could stand back and take credit for a lot of what he has done for Italian spirits, but instead he took pains to tell me that he "hasn't invented anything" and that his true search is for fruit of the highest quality. Finding the best raw materials to translate. That for him is the goal. Gianni's talk was held in the cellar of the original Il Buco. It is a space with some real atmosphere. I especially enjoy to see what is lying up on the cellar ceiling racks. There are always bottles of something special up there. Like a 1983 Roulot Meursault-Perrieres, for instance. Unfortunately that wasn't open to sample. But of course there was plenty that was very special and that was open to try, and I got right into it. The Grappa di Bassano, pictured above, is made from the pomace of several different grape varieties, all grown in the Veneto. 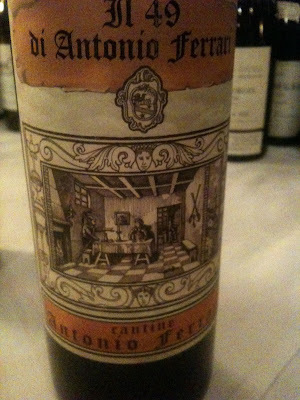 It includes Vespaiola as well Cabernet Sauvignon pomace and others, and is the only grappa Gianni makes that is not monovarietal. As with all of the Capovilla distillates there is a fine textural weave with the Bassano Grappa. 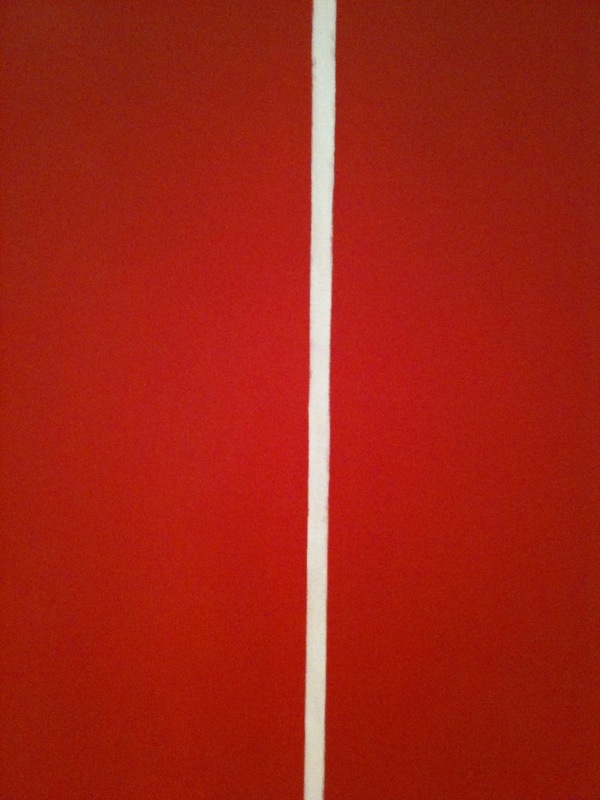 That weave is anticipated by the aromas, which play off of and build on each other. 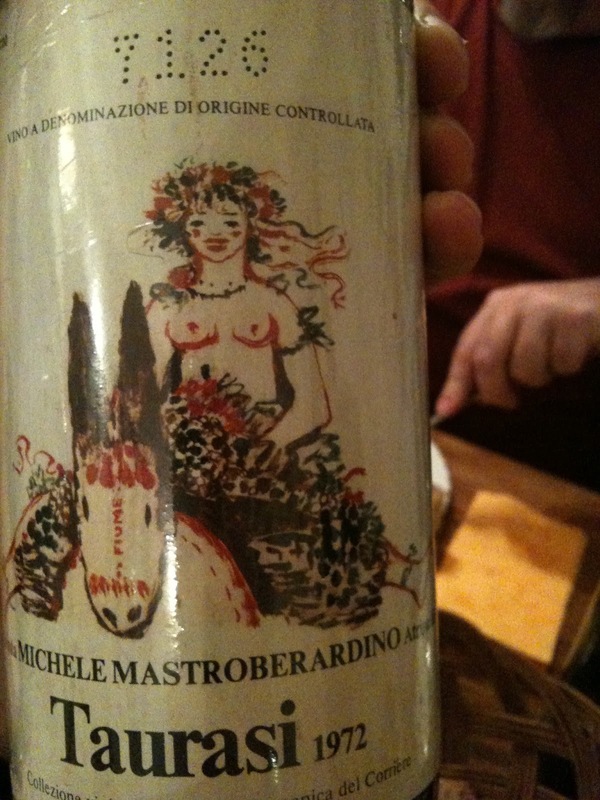 We also tried Gianni's Barolo Grappa, made from Nebbiolo pomace sourced from the likes of Parusso and Giorgio Rivetti. It held a svelte texture, and fruit character that lingered in the mouth. I don't usually think of blueberries as a Nebbiolo signature, but there was plenty of blueberry fruit in that grappa. Also some burnt mandarin orange. Gianni labels his spirits with a wax that is the same color as what he associates with the fruit of the distillate. He labelled his Barolo grappa with a blue wax, so I assume he sensed some blueberries in there at some point as well. Gianni has the pomace for his grappa shipped overnight from the wineries, and he distills it the day it arrives. When you speak with other producers making a filigree style of grappa it becomes clear that an emphasis on fresh pomace is something that they all share. Something else that they tend to share is a copper alembic still. Gianni brought his in over the border from Austria originally, and tinkered with it until he was satisfied with a modified design of his own. He distills with the aid of a hot water bath, in the bain-marie style, instead of the direct flame method that was used by Romano Levi. One thing that Gianni is very unique in doing in Italy is a beer distillate. A brewery that he works with makes a special double malt batch just for him, and he distills it down. In this way Gianni took his cues from the producers in Germany that make beer distillates. In Italy this wasn't something that was done, so much so that the Italian government didn't even have a category for such distillates when Gianni first produced his. In terms of the taste, the malty beer flavor comes through as the liquid is drunk. It sort of fills the mouth with the sense of beer, but the effect is much different than drinking a beer would be. Less suds, for sure. Everybody should try this birra distillate at least once. It actually takes Gianni 100 liters of beer to make 1 liter of the distillate, which he subsequently ages in small steel vats for 2 years before adding water to dilute it sourced from a spring in the Alto Adige. Perhaps my favorite Capovilla distillate of those being brought into the States right now is the Moscato brandy. 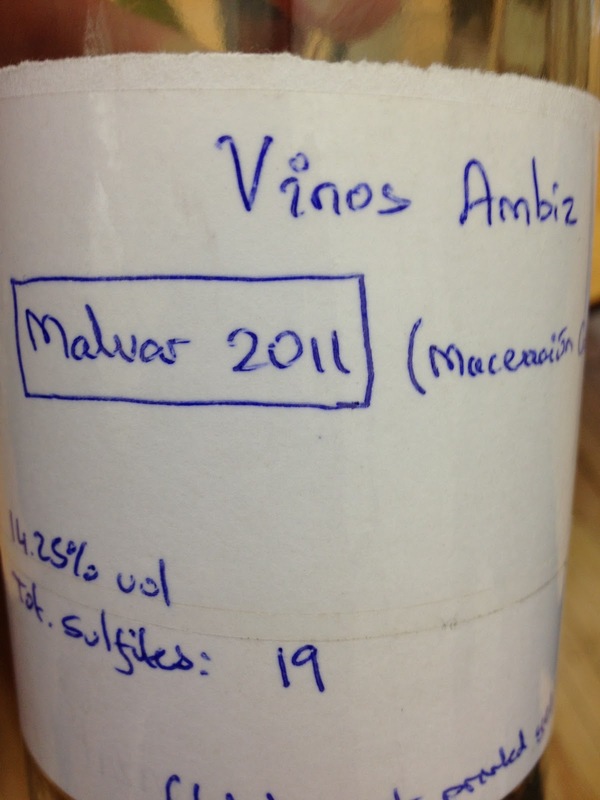 It isn't a grappa, in that ths is a distillate of the Moscato juice, not the pomace. The intricate linden and citrus notes that Gianni teases out are many, and that's what I like most about it. It is a distillate for people in love with aroma. And for me it is perfectly pitched on the palate between sweet fruit and dry distillate. Many of Gianni's distillates have a kind of softness to them, a roundness on the finish. Never harsh. But I like the texture of the Moscato brandy especially. The kind of distillate for which Gianni is best known in Italy itself is probably most summed up by the Ciliegie, which is a cherry eau-de-vie. Gianni loves to source fruit. Especially the fruits that he ate in Italy as a child. He goes to great lengths to find special parcels where organic fruit that he likes is grown, and he travels to Trentino to source the cherries for this distillate. If you get a chance you should really see his tree shaking skills in action, in this wonderful film on his website. Fun stuff. The Ciliegie from Gianni revealed for me the darker tones of a cherry, such as you might find close to the pit. I imagine it could be great in a cocktail. I am told that the Apple Brandy from Gianni is his biggest seller curently in the New York area, and it isn't hard to imagine why. It is softly textured, deeply fruited, and very drinkable, and it probably appeals to buyers used to only finding thin apple brandies when they venture outside of the Calvados zone. 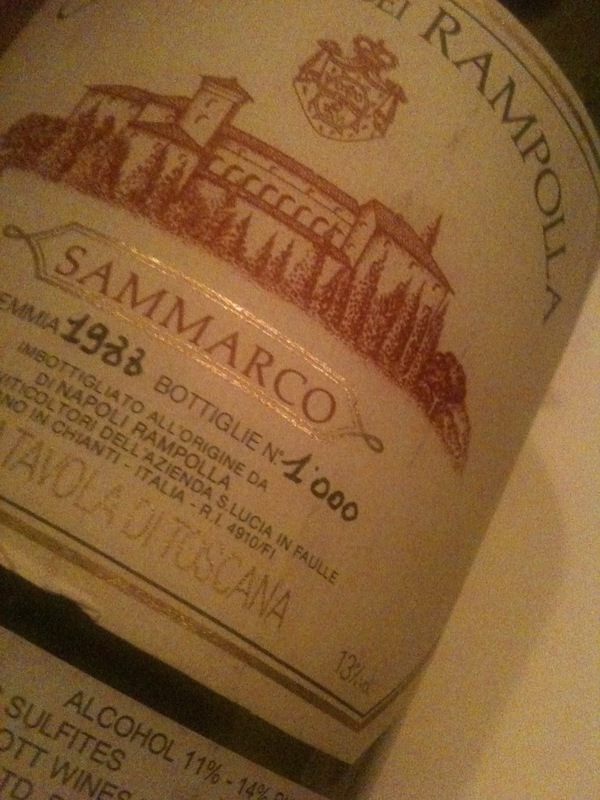 I personally found it quite a treat to try the Amarone Grappa, which was aged in French oak barrels. It was my first opportunity to try a grappa of his that had been raised in wood. There are of course very good examples of wood aged grappa available in the States, so I was curious to see how this one stacked up. And the answer was very well. The taste was a bit too soft and caramel laden for me, though. I maybe would have liked it just a touch drier. Gianni sources the grapes partly from Romano dal Forno in the Veneto, so another famous name producer. I was starting to think that Gianni only worked with modernists, but then I remembered that he also makes a Gravner grappa, although it is unfortunately unavailable in the States. Something that is newly available in the States is the white rhum, and boy is it excellent. I remember a few years ago I tried to source a great small production white rum that didn't taste like chemicals, and how difficult that was. If only this had been available to me back then! Gianni partnered with a small rhum agricole producer on the French Caribbean island of Marie Galante to start making this sugar cane spirit back in 2006, and the results are tremendous. The smooth texture that Gianni brings to his distillates was very welcome in this one. Gianni made us up some of his favorite rhum cocktails with a bit of ice and slices of lime peel rubbed along the rim of the glasses and then dropped inside. 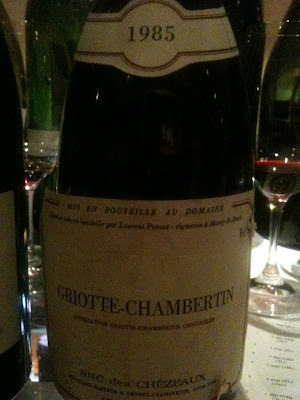 Really delicious and very aromatic. This wood aged rhum that Gianni is making is aged in French oak barrels formerly used by Sauternes producers. The sugar cane is slowly fermented over 7 days, then there is distillation in the bain-marie, with no water added during the process. The result spends 3 years in the French oak, and is then bottled. The taste is of a subtle, golden caramel in an understated style. There is a bit of welcome smoke flavor on the soft finish. Easy to sip, and neither as dry as some rhums, nor as sweet as some rons. It really was a great tasting. I was as happy and excited to meet Gianni as the several other people who lined up for a picture with him. Even Gianni's soft spoken importer Jan d'Amore, who had dressed up for the occasion and not worn his usual orange pants, stepped into the frame at one point. 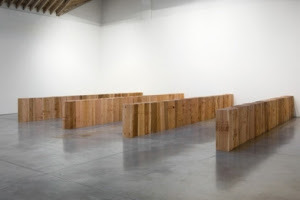 Viewing a Carl Andre sculpture, I am generally struck most by the sheer weight of the work. The immobility. The hunkered down stance, close to the floor. I am not moving a sculpture by Carl Andre. I and another person together are not moving a sculpture by Andre. I might walk through the room. Somebody else might walk through the room. Twenty other people might walk through the room. And it doesn't matter that the pieces are spread out on the floor, easily reachable. Wood or metal, those pieces are just too heavy. Nobody is moving them. Except maybe a hurricane named Sandy. Redoubt from Carl Andre, a sculpture executed in 1977 and pictured above, was on view at the Paula Cooper Gallery in Chelsea when Sandy hit. The Paula Cooper space took on considerable flooding in a matter of minutes. The director of the gallery was quoted by New York Magazine saying that the Andre was "a hundred-and-something timbers, and [the storm] just tossed them all over." What had been in four orderly rows was scattered across the room. The same pieces, but each in a different place. 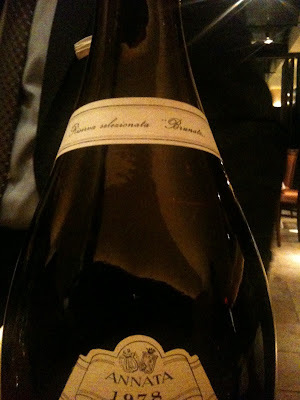 The last vintage of Monprivato released by Brovia was the 1990. 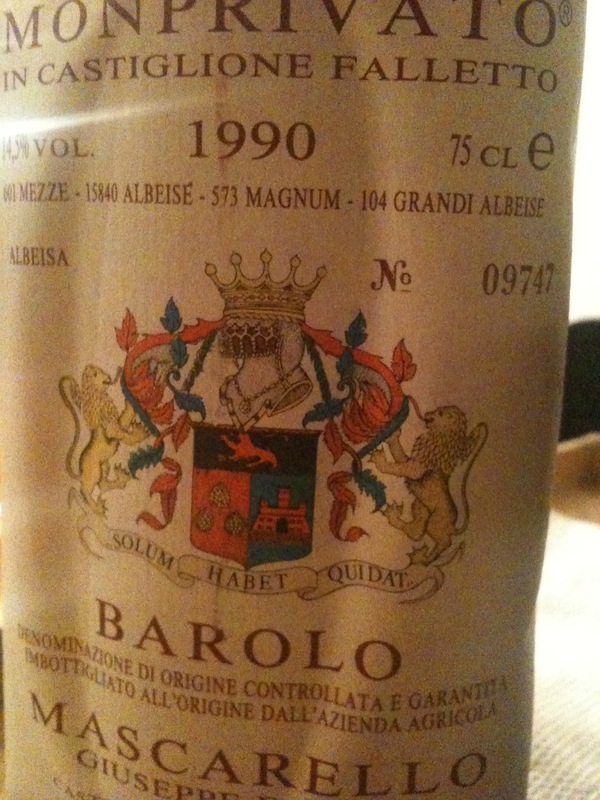 What happened with Redoubt came to mind recently while I drank a Barolo Monprivato 1990 from Brovia. A friend knew I'd never had it before, and was nice enough to open a bottle for me. A rare treat. Like most Piemonte enthusiasts, I know Monprivato mostly as a vineyard source for the excellent Barolo of Giuseppe Mascarello. 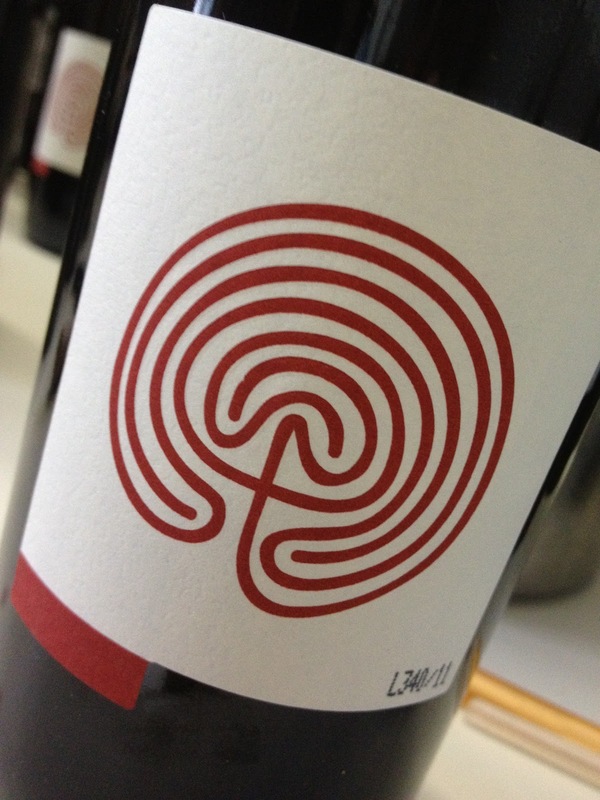 Today, that winery owns the entirety of the large Monprivato in Castiglione Falletto. But that wasn't always the case, and Mauro Mascarello of G. Mascarello had to steadily purchase parcels of the vineyard over several years to make it so. 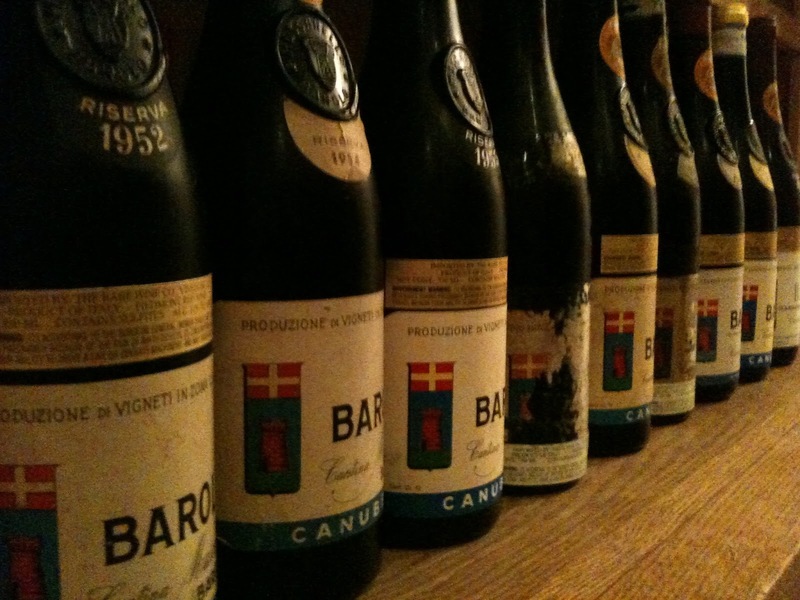 For awhile in the 1980s, and up through 1990, Brovia bottled a single vineyard Monprivato. In many ways that was a different time for Brovia than what we might think of today. Brovia didn't own their Villero or Brea parcels until the 1990s. Giacinto Brovia wasn't joined by his daughter working at the winery until right around 1990. Giacinto had worked on his own with the casks before that, while his brother Raffaele had tended the vines. 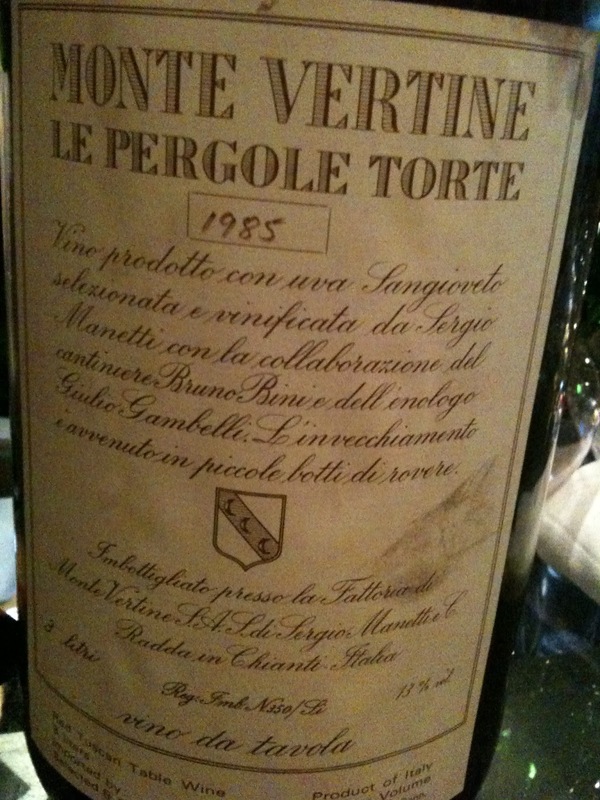 But you could still taste a Brovia signature in that 1990 Monprivato that was recognizable. The texture of the tannins reminded me very much of Brovia. There was the ripeness of 1990, but there was also Brovia. 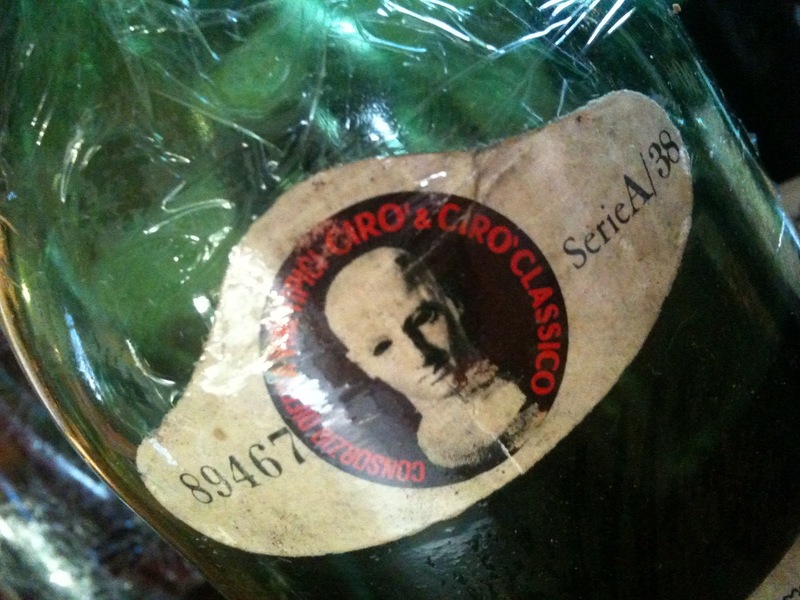 I drank the 1990 G. Mascarello Monprivato earlier this year, thanks to Steven, who was nice enough to share a bottle with me. The tannins of the Brovia Monprivato 1990 were very different than those I associate with G. Mascarello's Monprivato 1990. In some sense this could be related to the location of the specific parcels involved, the clone of Nebbiolo used for the vines, or the age of those vines, but there was a marked difference. What they shared was a fruit character. I thought I could taste Monprivato in both wines. The deep tones of red fruit. The mineral flecks. The muscularity. They were similar. But the structure was disparate. The Giuseppe Mascarello 1990 was a much more contained wine. Ordered. 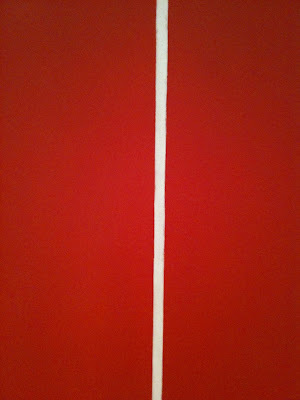 In it the long row of flavors seemed to open up in a straight line that could also have been the edge of a ruler. The Brovia was different. It's structural pieces were all turned over, there were few hard angles, and the flavors came in a rush, not precisely one after another. For the Brovia, the heavy weight of the structure had been lifted. Both were good wines. And both were Monprivato. But one was arranged just so, while the other had the same pieces all in different places. I was reminded that the texture of a wine can change the presentation. And I was thankful that I had experienced both possibilities. Abe Schoener is on I'll Drink to That! Carla Rzeszewski is on I'll Drink to That! Peter Liem is back on I'll Drink to That!